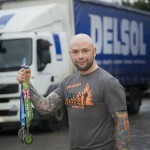 A Flintshire truck driver has clocked up a stunning success at tough endurance races to land himself a coveted medal. 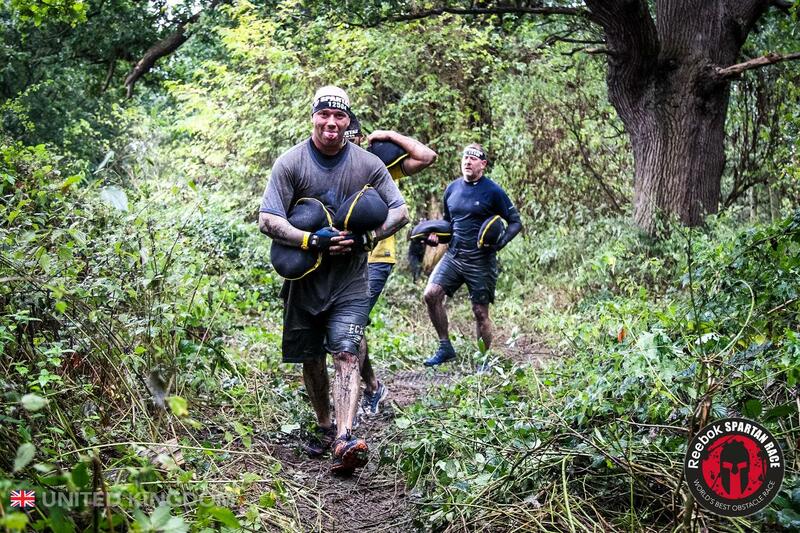 Grant Mooney, who works for delivery company Delsol, has leapt over fire pits, launched himself from 30 feet high walls, braved barbed wire and electric shocks, run with heavy sand bags and tackled muddy obstacle courses to gain the Spartan Trifecta medal. 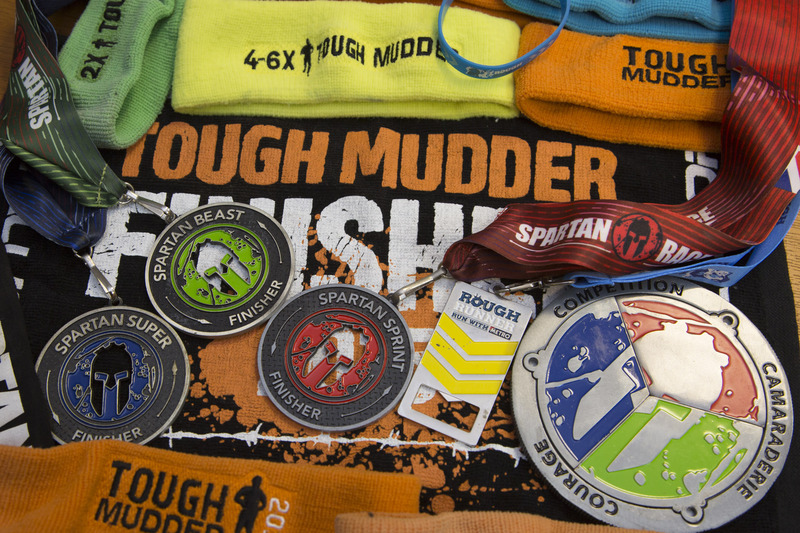 The honour, made from three interlocking pieces, is awarded to athletes who complete the triple Spartan challenge. 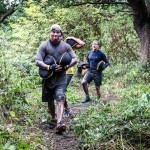 Across three races in a year, they put their mental and physical strength to the test by running a total of 38 kilometres at three different locations and overcoming more than 65 obstacles. 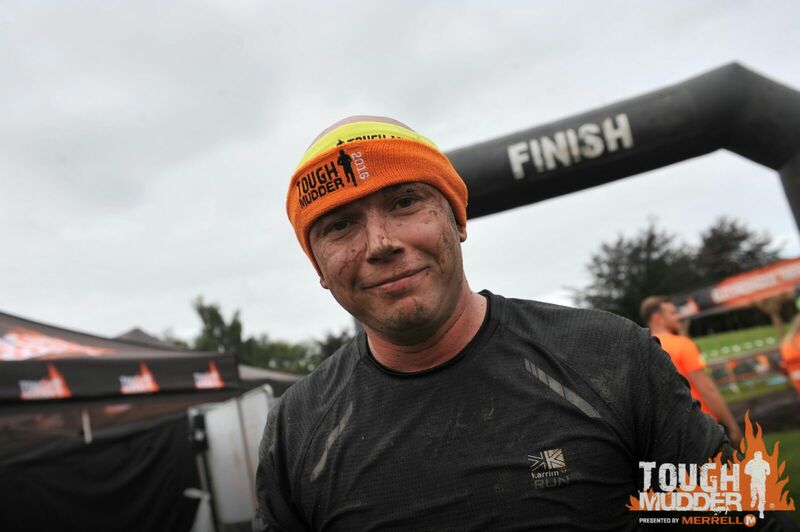 Grant, who lives in Dodds Drive in Connah’s Quay, has also taken part in five Tough Mudder challenges around the UK, which helps raise funds for Help for Heroes. 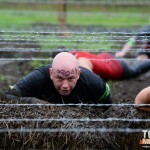 Now the 34-year-old’s gearing himself up to take part in more endurance challenges in 2017 – and a possible place at the World Tough Mudder event in Arizona. 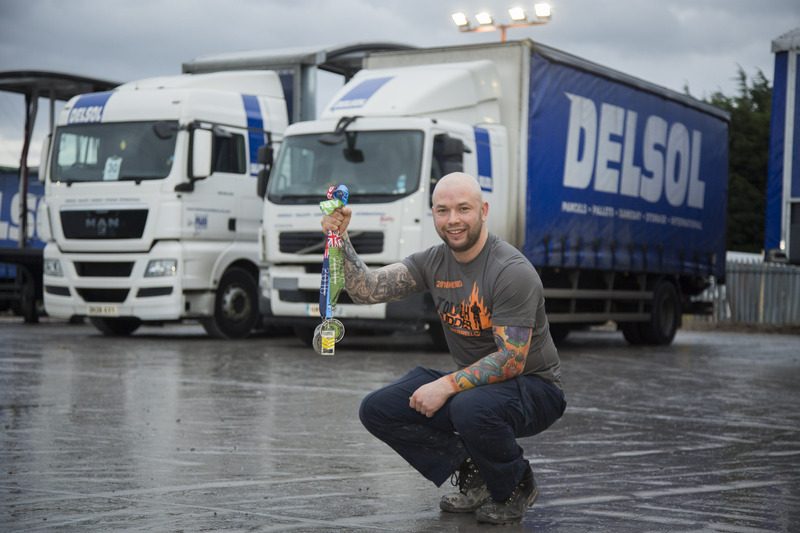 By day he drives an 18-tonne truck – named Betty after his gran – for Delsol, taking deliveries of pallets from the company’s base in Sandycroft to commercial customers around the Wirral. Grant, who is originally from Oxford, joined Delsol three years ago as a van driver and then trained for his HGV licence. As well as the physical demands of his job, his tough training includes cycling six miles every day to work, from the home he shares with partner Claire and her 14-year-old daughter. He also does regular weights sessions, gym work-outs and road running – plus racing through nearby Wepre Woods park and up hundreds of steps to the top of Ewloe Castle, with his Jack Russell dog Rolo. “I just love doing the training and the races – the tougher the better,” said Grant. 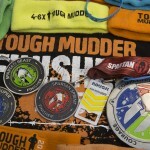 “It takes me about two and a half hours for each race, depending on the different obstacles the organisers have thought up. However, it’s not about winning, for me it’s all about setting yourself the challenge and then doing it. 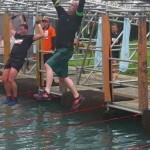 There’s great teamwork as well between everybody who is taking part. 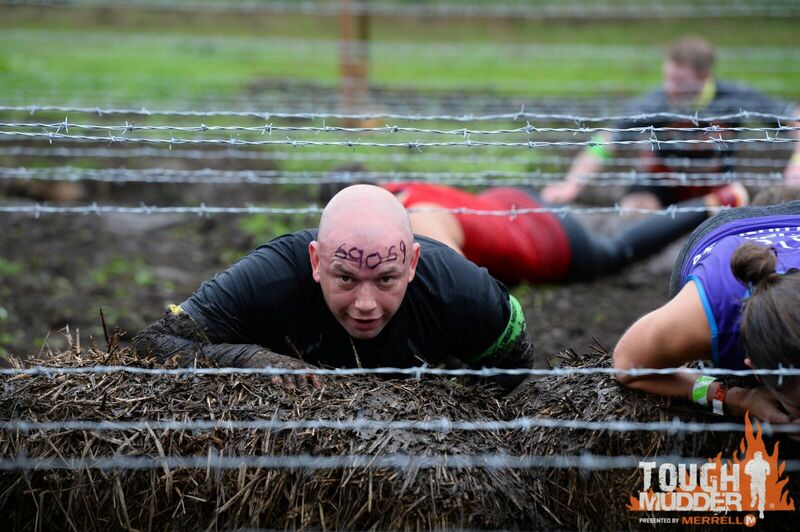 “Every race is across tough terrain and is exhausting, but I love it – it really makes you feel alive. 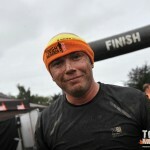 I was very pleased to be awarded the medal as it means I am part of the special worldwide Spartan Trifecta Tribe. 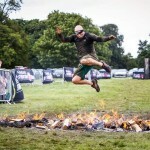 The Spartan races were launched in America in 2011 and are now sponsored by sportswear firm Reebok, and classed as some of the toughest in the world. 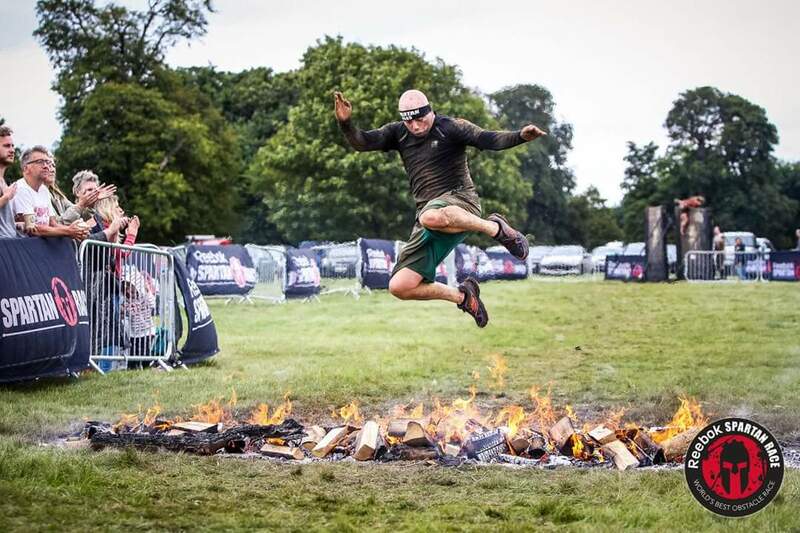 Competitors – dubbed warriors – must overcome obstacles and challenges including spear throwing, monkey nets, tyre pulls, wall or hay bale jumps, barbed wire crawls, carrying 30lb sand bags, jumping over a fire pit and wading through muddy water. Grant added: “I was originally working in a warehouse and then became a van driver with Delsol. When I got the chance to train for my HGV with Delsol I jumped at it. I now want to train for my Class One licence so I can drive the really big vehicles – Delsol are very good at personal development like that. 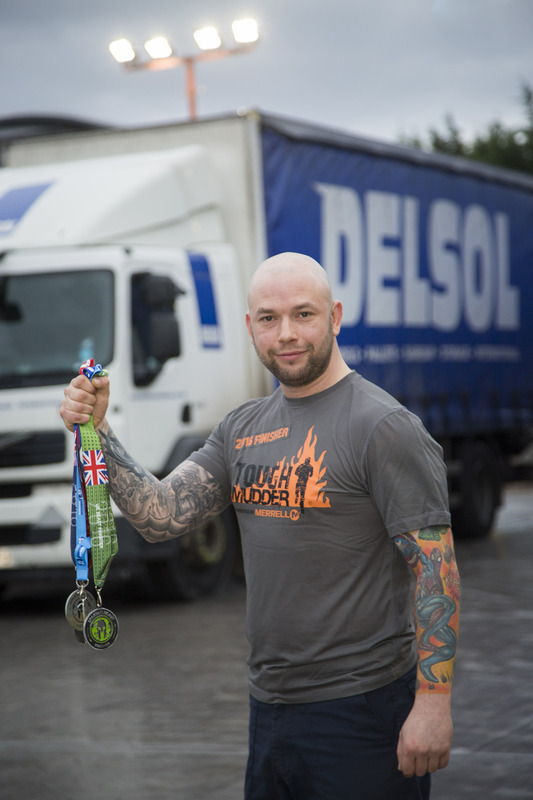 “Being a lorry driver delivering pallets is physical, even though we do have pallet trucks, and being fit for the endurance races really helps when it comes to moving pallets around. 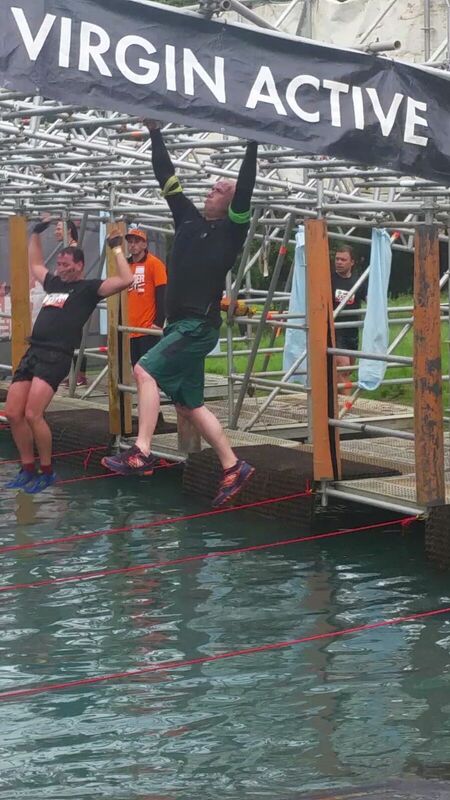 Delsol joint managing director Tony Parry said: “I am always astounded when I see Grant’s photos from his races – they are certainly very tough challenges. “We have been pleased to see his progress through the company and fully support his aims to continue enhancing his driving skills. Delsol delivers items around the UK and across the globe to retail, commercial, industrial and private addresses, for large companies through to small enterprises and personal customers. The company was originally founded in Bethesda in 1999 by Tony Parry and Simon Walker. They opened a purpose-built delivery depot and warehouse facility in Caernarfon in 2003, and six years later launched a second depot in Sandycroft, Deeside, Flintshire. The company now has 80-strong fleet of modern delivery vans and tail-lift equipped trucks, and employs more than 125 people.